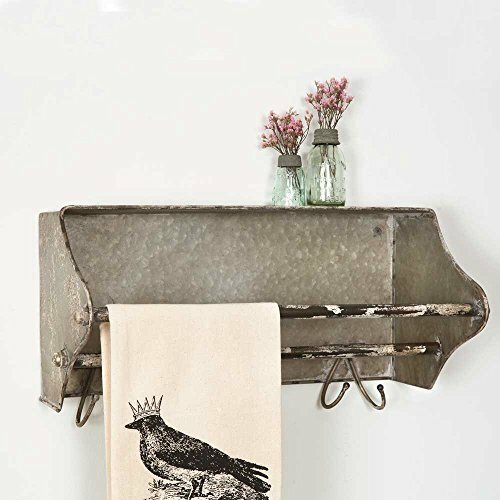 Weathered Galvanized Metal Toolbox Wall Rack Towel Bar w/Hooks. Perfect for the Kitchen or Bath, this Rack Features a Towel Bar and Hooks. Hangs with Two Holes in the Back and Measures 17" x 8" x 9". Accessories Not Included.